On a recent Friday afternoon, a brown UPS truck rolled up to my door with a delivery. While this in itself is not an unusual event at my house, things began to get a bit surreal when the driver asked where the loading dock was located. Soon thereafter, I walked out to the truck to find a pallet containing four boxes of the Pass Labs Xs 150 amplification system with a combined weight of 600 lbs. The truck, fortunately, had a hydraulic lift gate and was equipped with a pallet jack so the driver and I were able to get the pallet into my garage; however, it required a visit by my son, an ex-marine, to get the amps unpacked and installed in my system. At that point, I began to realize that I was perhaps dealing with something that was likely to challenge many of my preconceptions about the differences between directly-heated triode tubes and transistors. As you may have gathered from some of my past reviews, I have a strong prejudice toward low powered, DHT tube amplifiers designed around very simple circuits executed with the best parts available, but I am getting ahead of myself so will start with a short description of the design of the Pass Labs Xs 150 amps. 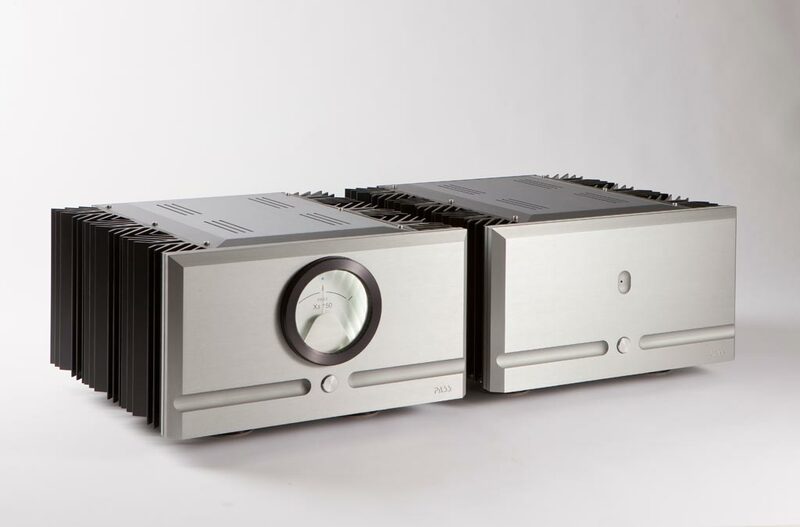 Nelson Pass has very strong beliefs with respect to how an amplifier should be designed, chief among these that it is much more important to limit higher order harmonic distortion than it is to seek artificially low overall distortion levels. Harmonic distortion in a Pass amp is predominantly 2nd or 3rd order, not higher. The relative proportions of one to the other will typically influence the final sound of a particular Pass design with pure 2nd, sacrificing some control in exchange for a more triode-like sound. Pass designs tend to rely on massive power supplies and class A operation which generally means that his higher powered amps will be very large and heavy and run very hot. 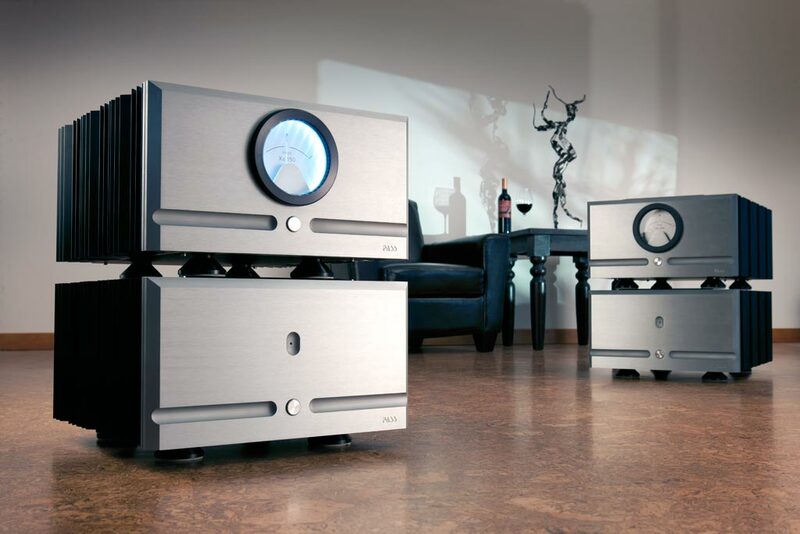 In this application, each Xs 150 mono amplifier is comprised of two chassis, one containing the power supply which weighs 150 lbs and one containing the audio circuitry which weighs 100 lbs. According to Pass Labs, the utilization of a separate chassis for the power supply lowers electromagnetic noise and allows the space for greatly enhanced storage capacitance and larger, quieter transformers. The power supply employs banks of redundantly paralleled high speed/soft recovery rectifiers as well as highly sophisticated high frequency noise filtering. The amp has both single ended and balanced inputs with the balanced input having an input impedance of 200 Ohms and negligible capacitance. The unique JFET’s and MOSFET’s employed in the input stage are no longer available in the open market. Cabling connecting the power supply and audio circuitry is included with the package and has very sturdy locking connectors. Likewise, the binding posts are well designed and provide a snug fit while preventing over tightening. The amps are conservatively rated at 150 watts at 8 Ohms and 300 Watts at 4 Ohms. In practice, I was never able to get them to clip or otherwise misbehave. They run in class A, so continuously dissipate 680 watts which makes them uncomfortably hot to the touch. The audio circuitry is designed to be stacked on the power supply. The units are provided with extremely effective feet which do an excellent job of isolation. They are also provided with adequate power cords but benefitted rather significantly from the use of Stage III Minotaur power cords. They also benefitted from an extended break-in prior to any serious listening, namely 150-200 hours with continued but much less significant improvement thereafter. However, even straight from the box, they sounded very good after two or three hours of warm up. Did you use a valve or solid state preamp?